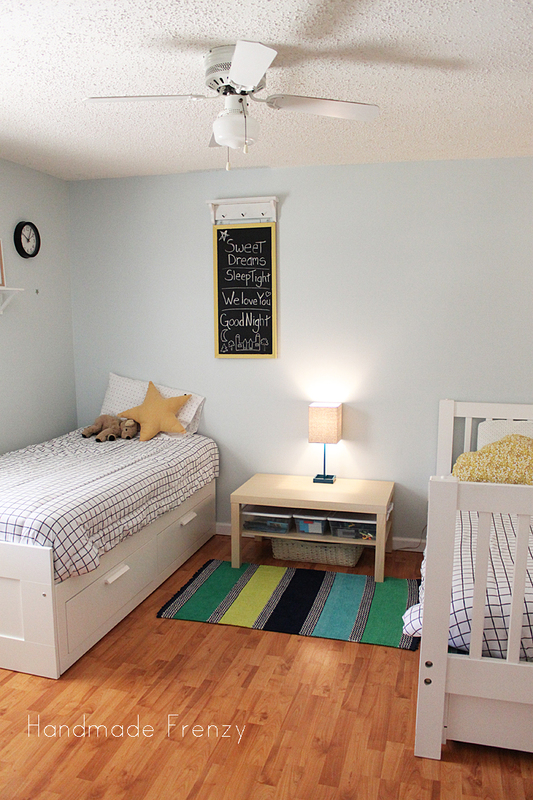 And yet another change is the fact that my 2 children now share a room in anticipation of child #3, Baby Boy, needing the nursery in a few months. They have adapted super well and even take naps together in their room MOST days, not all but most. The do super well at night and love having their toys together in the same room. The are best friends and for that I am soooo grateful. 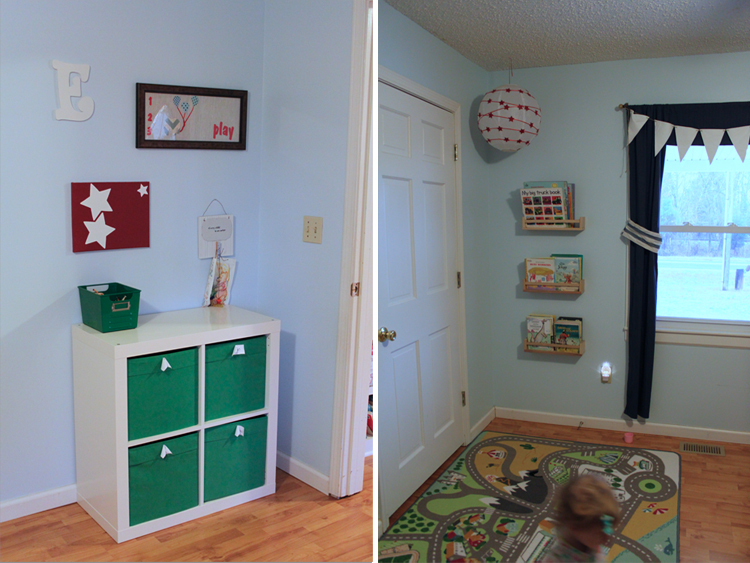 So a for a little background as to what I started with, here are a few "before" pictures when this was just E's "big boy" room. 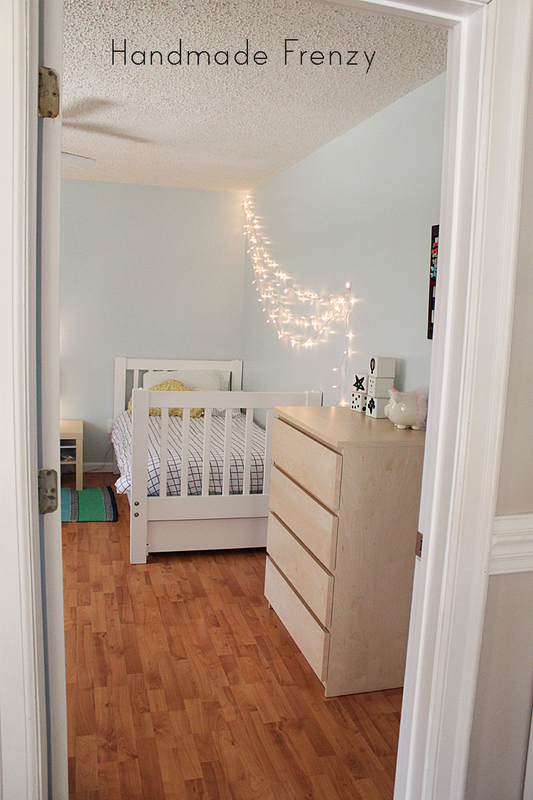 And a new before and after, looking into the room! The most obvious change you see here would be the bed. 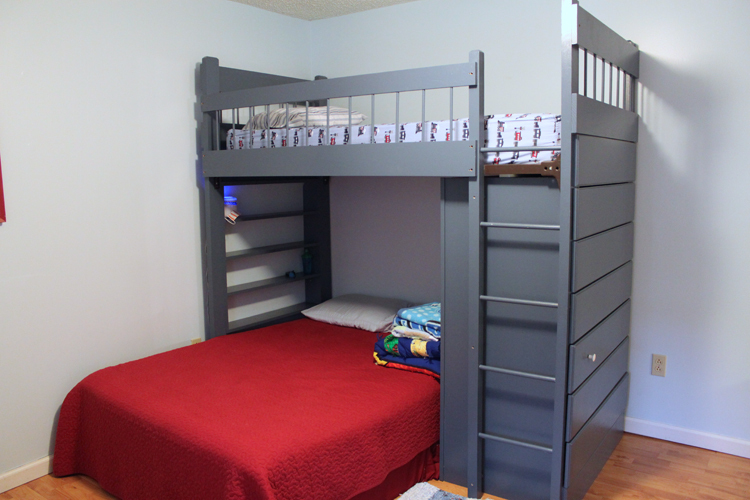 While I loved the sleeping space the bunk bed gave us I felt it was just too big for the room and especially since it's a brother/sister room, I wanted to give them each a "side" with their own special decor. So we swapped out the bunk bed for a twin bed for O. It does have a trundle underneath but I'm just using it for storage. 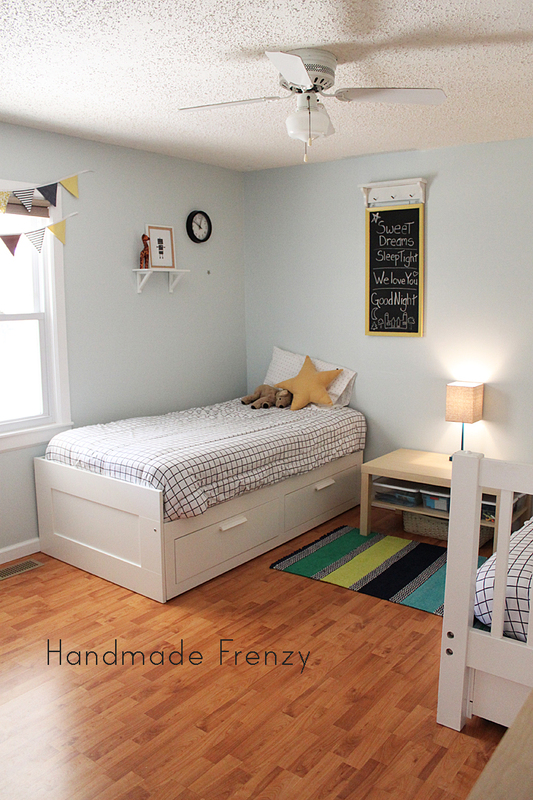 E's bed, which you see below, is from Ikea and is a twin that doubles in size when pulled apart. There are actually 2 mattresses stacked on top of each other for that purpose which is why it is a little tall. It also has two large storage drawers underneath which I absolutely love. Both of our families live out of state so it's important for us to have lots of extra beds for when they come to visit. The next major thing to change the room, which really isn't so major, ha, is the paint color. Before it was a very boyish blue. I love me some blue but I felt it was a little to much "boy" for it to feel neutral. I repainted it in Behr Glimmer. It's just the perfect mix of blue/green/mint/teal. I totally love it! Let's talk about O's side first! 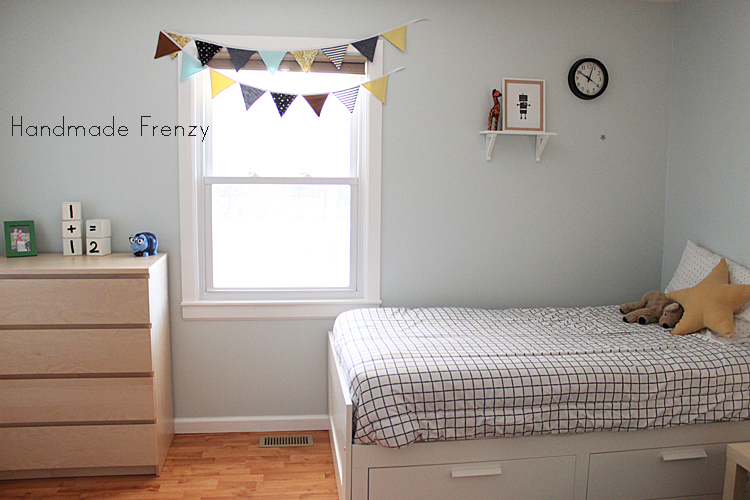 Her bed was a Craigslist find, both the dressers are also from Ikea. The matching comforters come from Target and the sheets are from there as well. 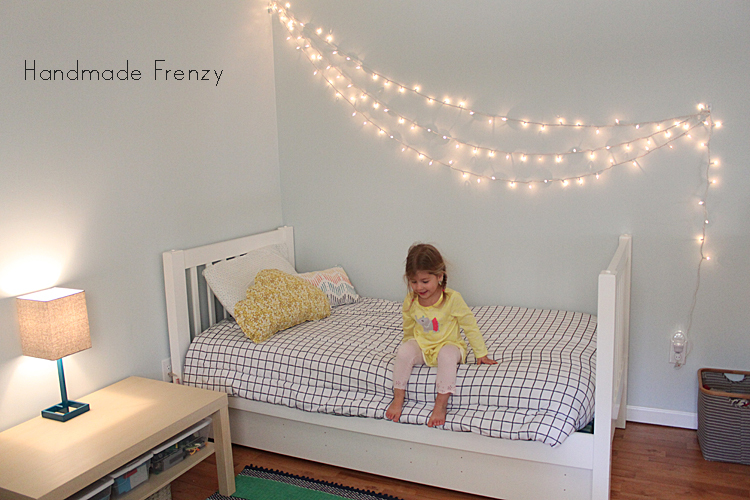 She had twinkle lights in her "old room" across the window and adored them so I put them next to her bed in her "new room" and she's pleased as punch. 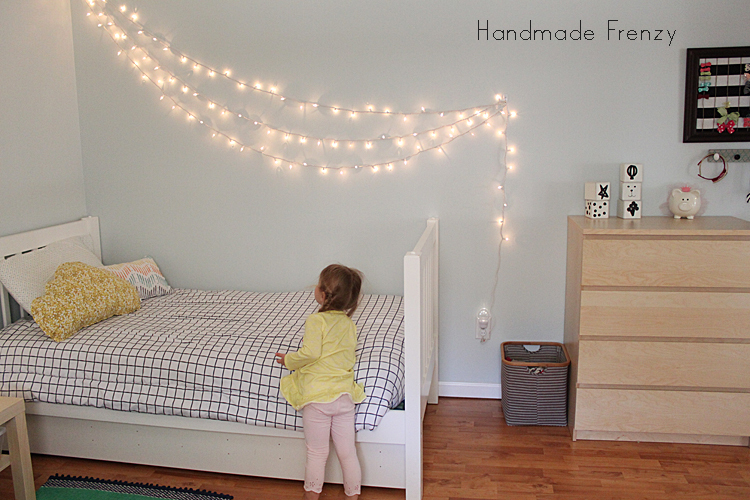 I plan to make a garland of some sort to add to that area and am also brainstorming about a bit of decor for the wall over the head of her bed. 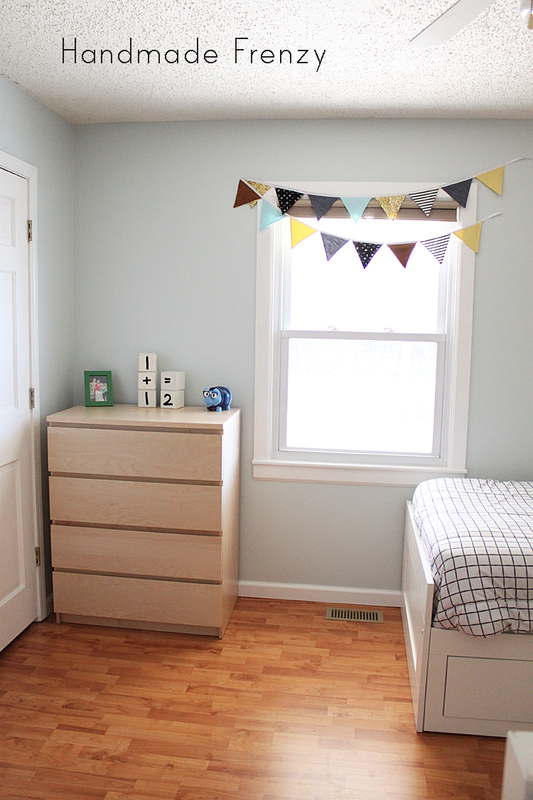 Also the trundle needs some work :) It has faux panels that were in need of a little work and new knobs. That is still a work in progress. 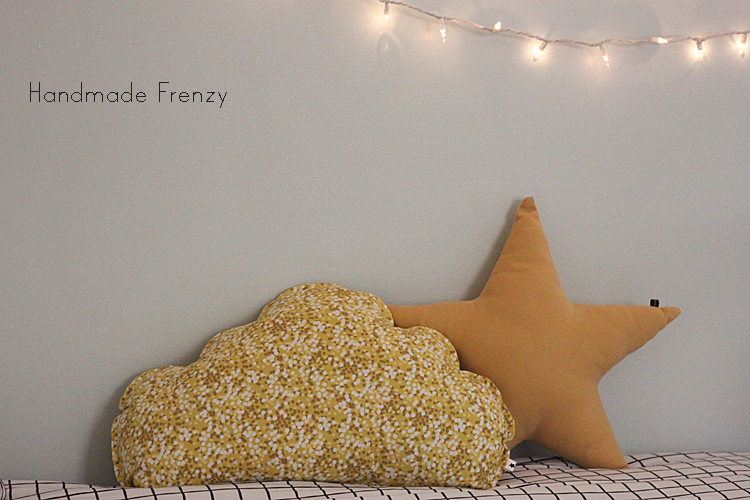 I sewed the cloud pillow (I'll show a close-up later!). The little basket next to the dresser is for laundry. Before, it was all over the floor constantly because the laundry room is on the other end of the house. This was a much needed solution that works well! Above the dresser is her hair accessory station. 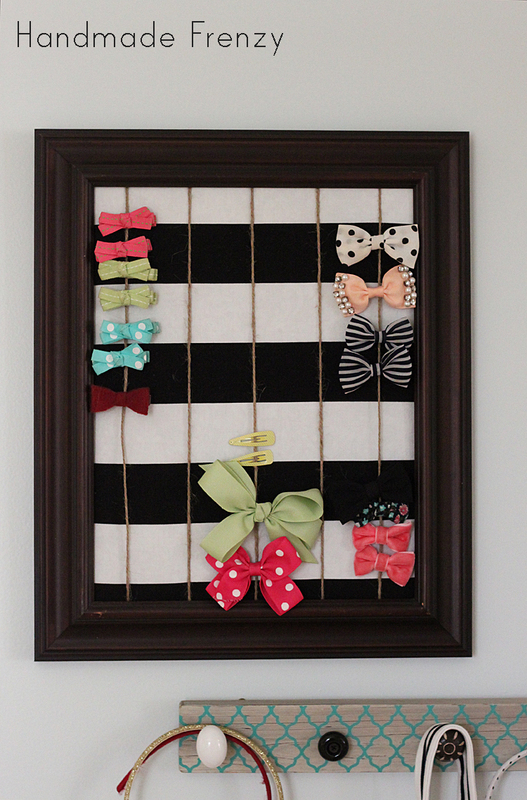 To make this all you need is a frame, batting, fabric and ribbon, twine or string. I simply took out the glass, wrapped the cardboard backing that it came with in batting, then fabric, then eye-balled the twine and secured it all in the back. I did this with a combo of glue and just a regular stapler. I liked the stapler the best as it seems to hold better. 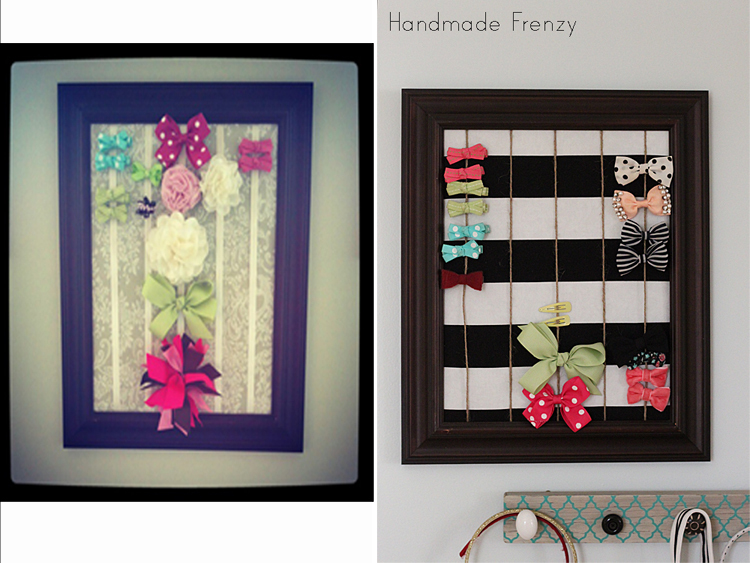 The little hooks that I apparently don't have a great photo of is from Hobby Lobby and holds her headbands. 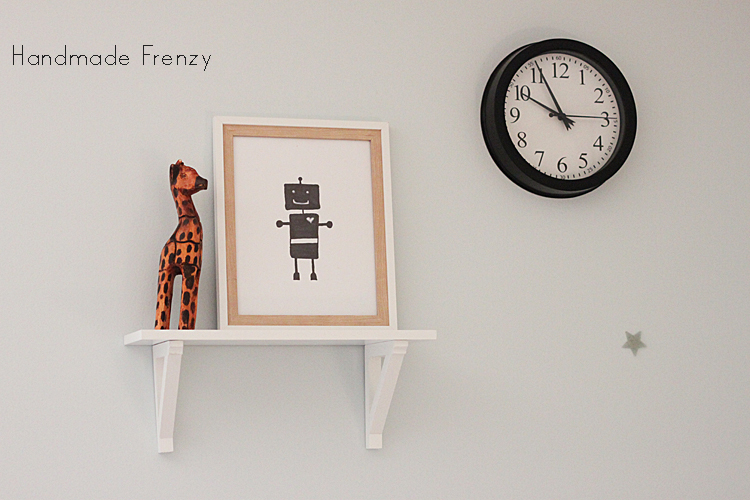 I revamped it from when it hung in her nursery to go with the decor better. And the only photo I had of the before was an Instagram shot so sorry for the terrible quality! Now for E's side of the room! His dresser... 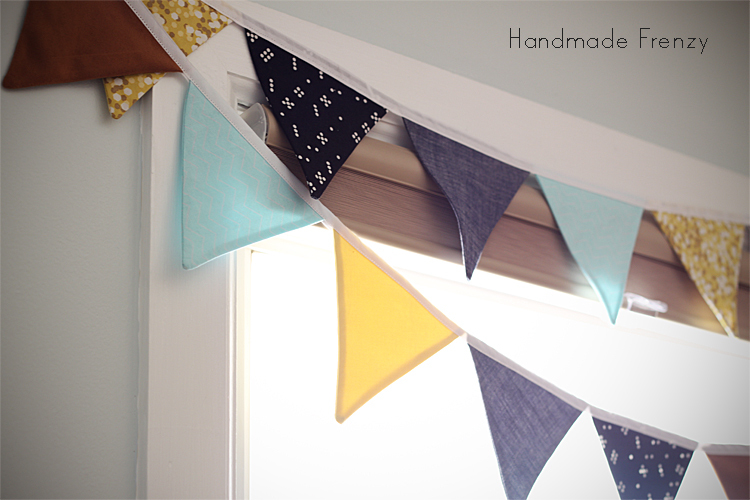 The banner over the window I sewed with fabrics shopped from my stash. I kinda love it. 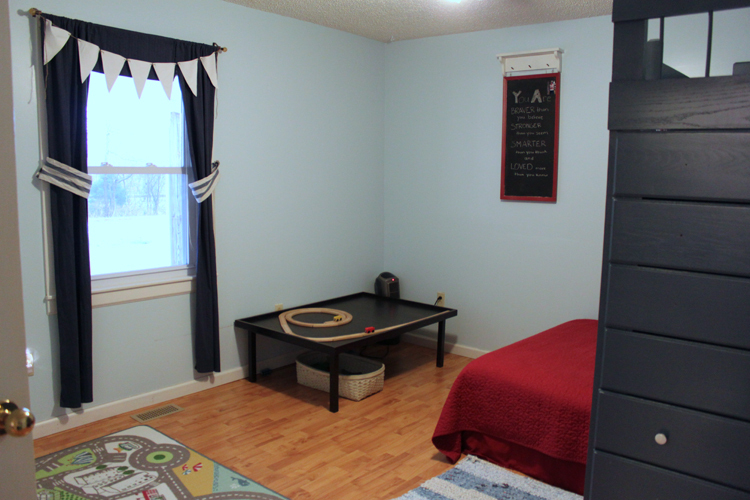 The door you see is their closet and holds their hanging clothes, bins for outgrown clothing, stored winter coats and a shelf unit on either side for toys. There is a reason why I didn't show you the inside ;) I had to take off the trim on the inside to get the shelf units in there and the kids are mostly in charge of cleaning up their own toys so things weren't looking so pretty at the moment! But I must say for the small space that closet is it is a real work horse. A close up of the items on his dresser. Same story with the blocks. And again. The kid loves numbers. 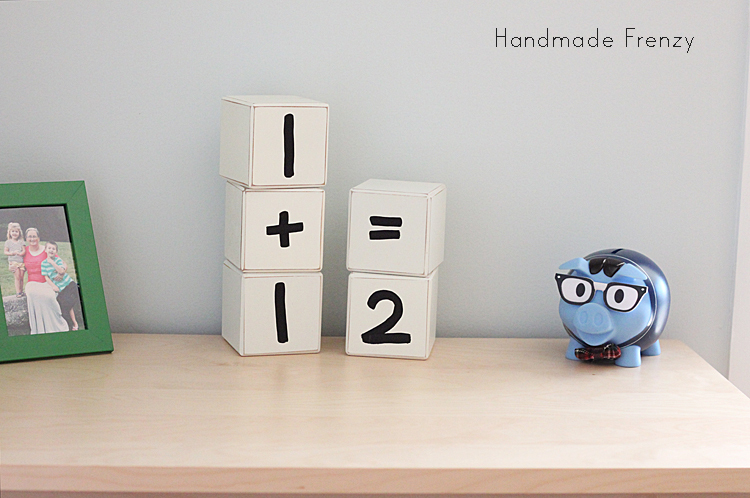 He's always telling me, "Mom, did you know 4+1=5?" etc. He's not in kindergarten yet and no I don't tutor him on math either! He just inherited his little analytic brain from his daddy! The photo is them with my mom on her 50th birthday, 2 days after E's 5th birthday. We don't get to see them all that much so that was a special day! 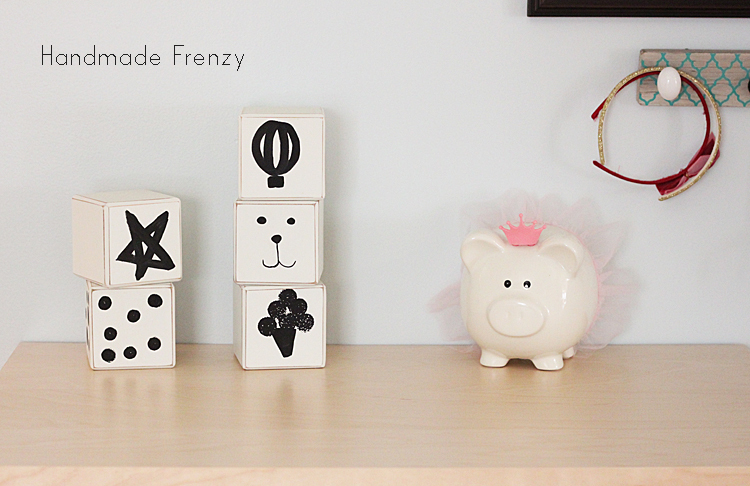 And also E's piggy bank, and yep he likes feeding his as well. Lol. I've figured out I'm not a fan of curtains. I want LIGHT please! Which is also why I prefer the cellular shades. That and also that the kids can't mess with them when they are up! And the fun pendant garland. It's a great alternative to a curtain I think! A little shot of their chalkboard. There is an explanation for why there is such a high shelf above it :) The chalkboard is not just a chalkboard. It actually hides the hideously ugly electric panel behind it. So in order to hang the heavy frame we hung it from little eye hooks drilled into the bottom of the shelf and the shelf is securely fastened to the studs in the wall so there is no danger of it coming down and makes the chalkboard still easily removable (by an adult) since it's necessary to get at the panel occasionally. 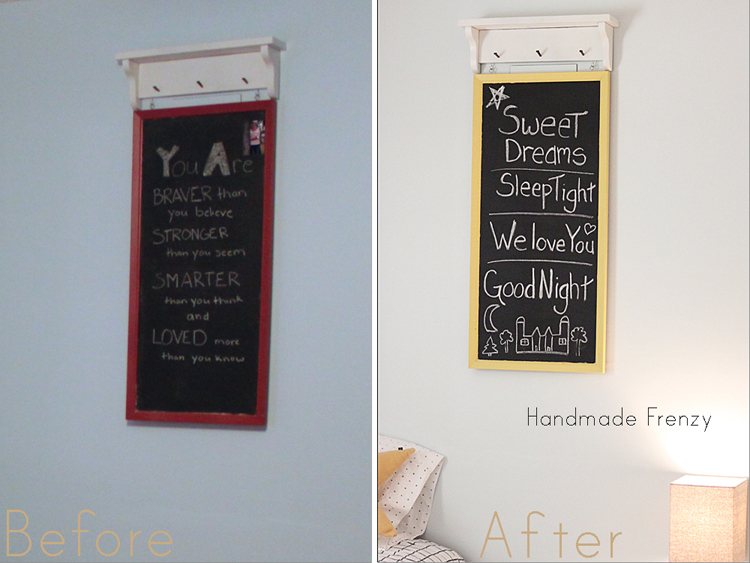 Here's a little before and after for you of the chalkboard. I was so done with red in this room. And one last shot of their little table of many purposes. All their tiny legos are stored in shoe boxes on the shelf and the basket on the floor holds all their trains and tracks. The table is the LACK coffee table from Ikea, the lamp and rug are from target. Oops, I forgot to show you the close-up shot of their pillows I sewed for them! 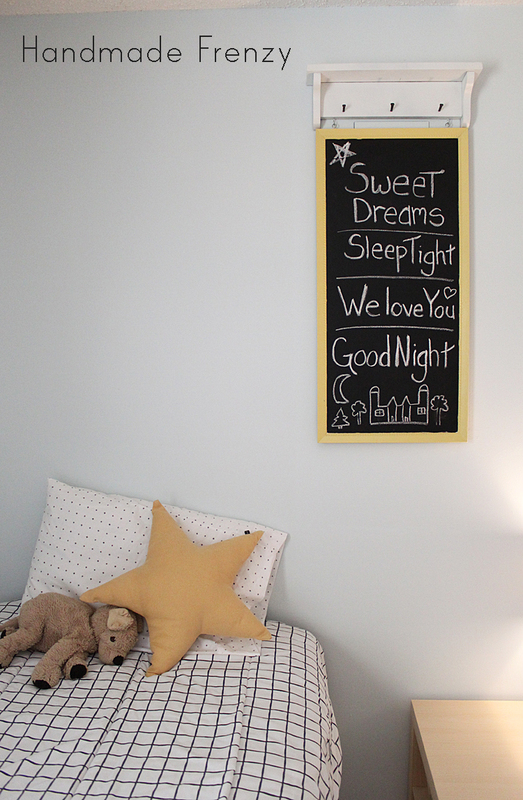 Thanks so much for stopping by and taking a peek into our living space. This has truly been a fun change! 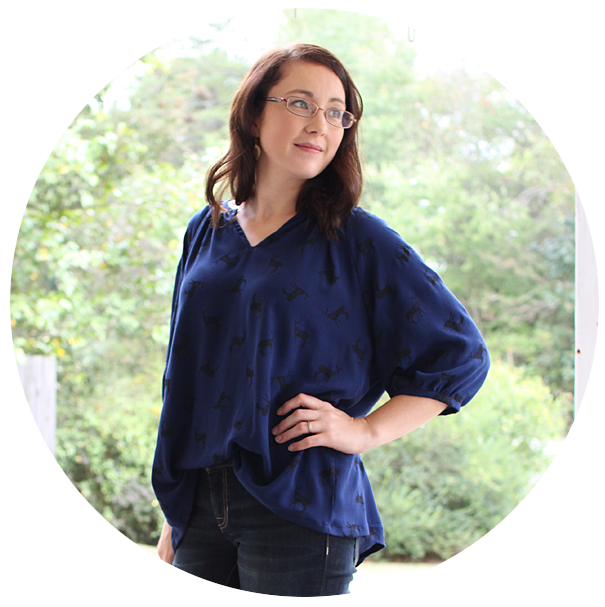 Be sure to check out Renee's blog for the introduction to her guest of the day. Hint: It's my good friend Erin!! I love the way you have created a space that is both girl and boy friendly - the pillows you made are adorable!! My son and daughter share a room too and they also love it (we'll see how long for!). Thank you!! The pillows were so much fun, can't wait to find the time to make more! They're still young enough that they don't mind sharing and think it's cool ;) It has to last for at least the next few years, lol. Heidi it is WONDERFUL! I said out loud when I was reading this, "Oh Heidi..." It's so sweet and decorated with a very light touch, which I think is so good in kids rooms. The comforter patterns are perfect, your blocks are fantastic, and I can't even get over how good your star pillow is! I could never get something with so many straight parts to not look wonky once it's flipped right side out. I laughed at your chalkboard concealing the electric panel, we have several random things that are under wraps in our current flat. Ah the woes of decorating over top of random ugliness. :) Great job! Aw, thank you!!! Just don't look too close at the star, the tips are definitely wonky :) And yes, gotta love the strange quirkiness in houses. Probably would not have put it in such a random place had I built the house, ha! I love this room! It's so perfect for boy/girl! 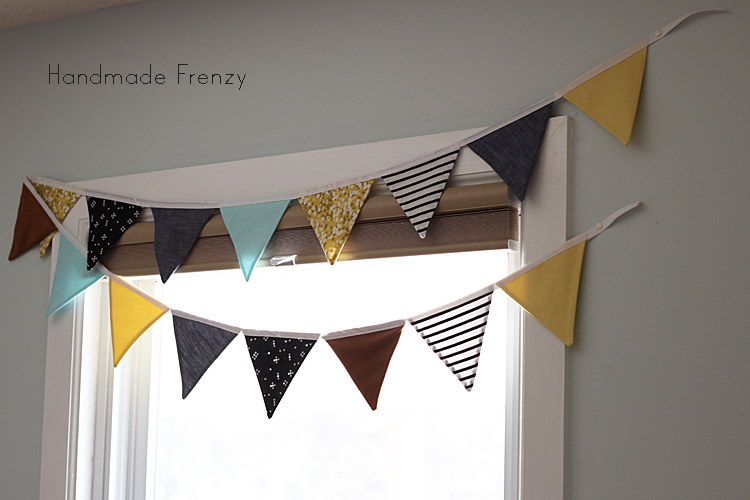 I've totally been meaning to make a bunting garland for my boys' window in their room but have never gotten around to it. I love yours! 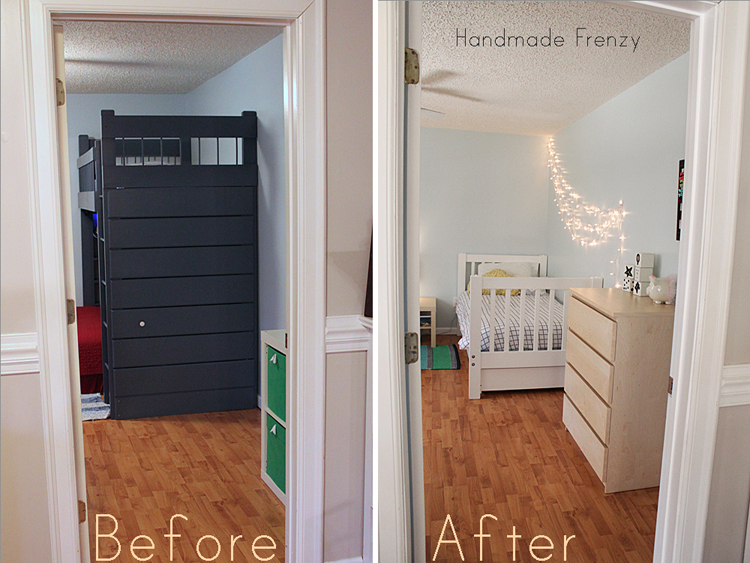 Maybe this will be the inspiration I need to finish my boys' room! I LOVE it! We have mixed around the two who share a room a few times, and it's always party time for awhile at night. ;) Love the colors. That is such a cute room and you are right...the wall color is PERFECT. Love it!!! 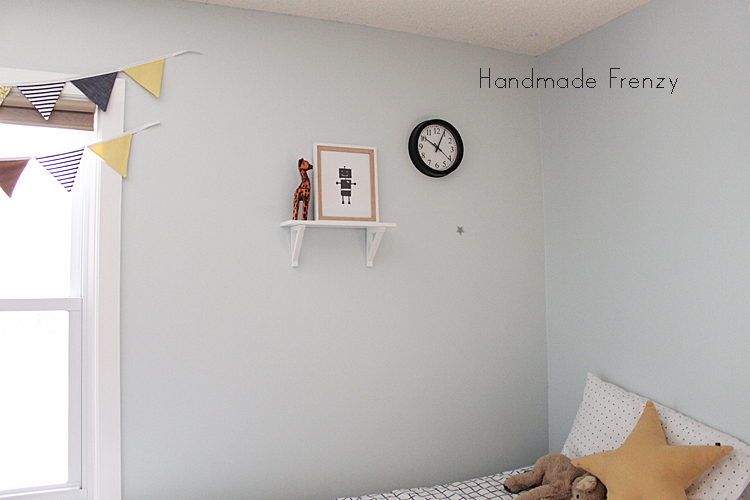 The room is super super cute, perfect color for the walls! And Love all the details you put into it, the blocks are great, Love the garland (I actually kind of feel the same as you about curtains) and those pillows are adorable!! Totally have to make some for my girls too. I love the wall color also. It really makes the room look open. We are in the middle of redoing a bedroom here, also a shared room. It's true, you really have to pay attention to how everything feels- keeping everything just the right size in a small room. I love the lights on the wall and all the small details.